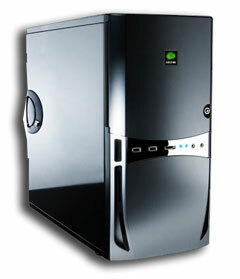 Mitchells Online are Server Suppliers and installers in Woking, Surrey. There was a time not so long ago that servers were only really used in larger companies with in-house IT staff. Now, with the advancement of the internet, and the availability of remote IT support even companies with as few as five computers can not only justify, but gain great benefits from installing a server. Once we agree a specification and a price, we go to work and configure and test your new server. At each stage of the build and testing process, we keep you informed so you can plan for the arrival and installation of your new system. We can deliver your new server to your premises, set it up, test it and connect it to your network. We can connect your computers to your new server and can remotely monitor its health for a six week period. We're also on-call to support you if you have any problems or questions. With Windows Server 2012 Essentials comes a web based feature called "Remote Web Access". This allows authorised staff to connect from home or indeed anywhere with internet access to work on their computer in the office and access important documents at any time. Take this a step further and link you users with smart-phones to your internal document folders and works-paces. With Windows Phone 7/8/10, the "Office Hub" provides very simple access to Sharepoint Server. Similarly apps are available for Apple's iPhone, and iPad to allow seamless remote access to your server's resources.